3. Instead of calling a poison center for information on what their child ingested, parents are now searching online. Number 3 is what we are focusing on here. 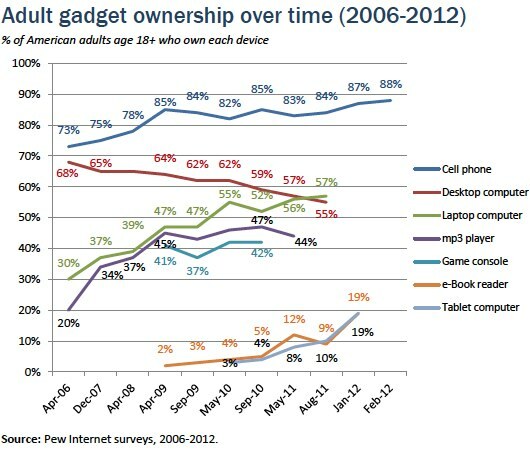 Approximately 58% of US adults have a desktop computer, 61% have a laptop, 45% have a smartphone and 18% have a tablet. People look to the internet for so many things nowadays: which restaurant to eat at, the best place to stay while on vacation, the best car to buy. They look to find their future mate, their future job. As people’s internet accessibility (and familiarity) increases, it makes sense that more and more parents and caregivers are looking online to find out what to do if their child ingested something potentially toxic. Our sole purpose here at the IPC is to reduce the incidence and injury from poisoning. Historically, the primary way we’ve done that is to answer phone calls about people who have been exposed to something potentially toxic. The phone is only one way to deliver information and assistance. Since so many people are moving to online sources of information, we know that we have to move there too! All of our My Child Ate entries are written by the IPC’s toxicology experts; you can be sure that they are accurate, up-to-date and come from a trusted source. This resource focuses on children who have ingested a potentially harmful substance because most unintentional pediatric ingestions of household products result in mild or no symptoms and can be safely managed at home. Intentional ingestions, ingestions of more than a mouthful-sized amount, or adult ingestions can be more complicated, and it is recommended that, in these cases, you dial 1-800-222-1222 to speak to one of our experts directly. We hope that you find our entries easy to understand and thorough, however, you can always call 1-800-222-1222 for more information, to ask additional questions, or just for reassurance. We are here 24/7/365, completely confidential, and no issue is too big or too small! We will be adding more topics soon, so check back frequently. We’d love to hear your feedback on our latest resource! Please email IPCadmin@team-iha.org to give us your thoughts or suggestions.